This Thursday, June 6, 2013, file photo, shows the National Security Administration (NSA) campus in Fort Meade, Md. A civil rights group has sued the U.S. government, saying it needs more information about surveillance of Americans' phone and financial records to guide the public debate over what will happen when the law that regulates the scrutiny expires next year. The American Civil Liberties Union sued the National Security Agency, the director of national intelligence, the CIA and the Justice Department on Friday in Manhattan federal court, seeking information about a program that collects records during investigations into terrorism or clandestine intelligence activities. According to the lawsuit, the government has not responded to requests made last month for information about its surveillance of Americans under a 2015 law. 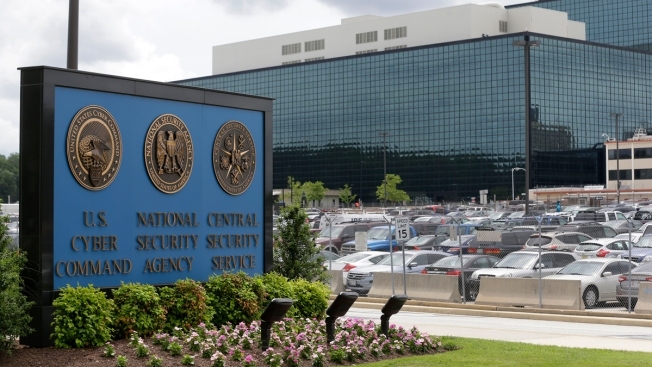 Congress used the law to set boundaries on the NSA's bulk collection of call records and other data after former NSA contractor Edward Snowden leaked documents revealing extensive government surveillance. The law requires annual reports to Congress from the intelligence community and forces the government to seek a court order to collect call records to obtain intelligence. Requests of records of U.S. citizens for investigations cannot be based solely on activities protected by the First Amendment. A government spokesman declined comment. The limits on the surveillance are due to expire in 2019, and the ACLU says more information is needed for a healthy debate before the law is reauthorized or changes are made. The group said the failure of the government to release any relevant records since the submission of its Freedom of Information Act request last month is concerning because the request "relates to sweeping surveillance activities that implicate core privacy and free speech rights of Americans," according to the lawsuit. The lawsuit, the ACLU added, is necessary because the public lacks adequate information about how the government collects vast numbers of Americans' communications records, financial records and other data without a warrant. It said the law was meant to curtail unnecessary surveillance, but data collection continues to occur on an immense scale. For instance, the lawsuit noted, the government said it collected over 534 million call detail records in 2017 even though it reported having only 40 surveillance targets. The lawsuit asked a judge to order the government to immediately process and release any relevant records.